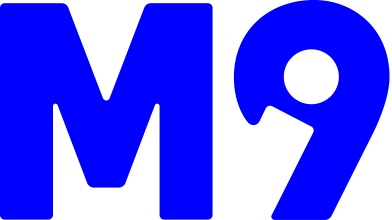 Mi9 is one of New Zealand’s leading digital media companies, with the potential to reach up to 54% of the population each month.A member of the Nine Entertainment Co family, Mi9 is an expansion of the MSN business including a range of products and brands across; online publishing, data strategies, consumer insights, digital design and advertising technologies. Our purpose is “to create the future of media” and imagination + intelligence underpins everything we do.Reaching 2 million New Zealanders each month, Mi9 includes 40+ premium content environments like msn.co.nz, Ticketek, Hoyts, Beauty Clique, Entertainment Fix, MenuMania and ESPN- to name a few. Mi9 is also home to Skype, Outlook.com and the number two search engine Bing. With other diverse digital products like Microsoft Media Network and the Microsoft Advertising Exchange, we are always looking to create new digital experiences that entertain, inform and connect with New Zealanders.Mi9 is committed to creating, amplifying and delivering digital ideas for our advertisers that connect with consumers, delivered through real scale that matters. This is always driven by a deep understanding of consumer behaviour and smarter use of data. We have the tools and technology to enable brands to reach the right person in the right place at the right time. We believe it is the unique blend of imagination plus intelligence that unlocks a brand’s digital opportunities.